Just because it’s cold outside doesn’t mean you can’t use crankbaits to catch bass. We’re always told to slow our presentations down in cold weather and the versatility of crankbaits actually gives you that ability more so than most techniques. Elite Series pro Brandon Palaniuk has a lot of success bassfishing with crankbaits throughout the winter months. 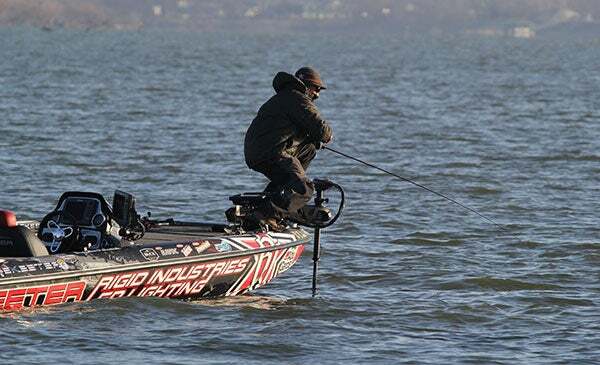 Whether the fish are transitioning into or out of their wintertime patterns, this technique allows him to cover various water depths while specifically catering to the activity—or lack thereof—of big bass. According to him, there are 10 easy things modifications you can do to drastically increase your coldwater cranking success. 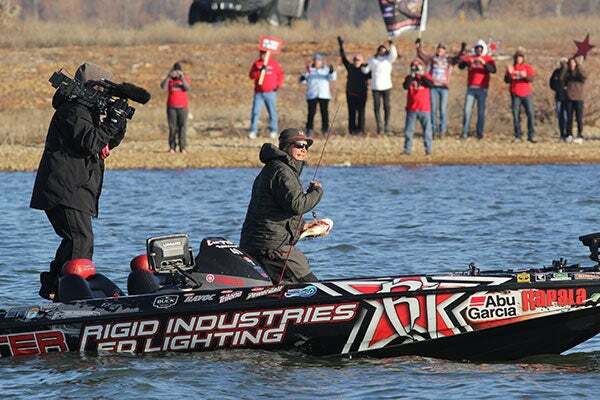 Efficiency is imperative in bass fishing but it plays an even larger role throughout the winter months. It’s important to cover a lot of water when looking for a pattern, but knowing when to saturate an area can pay big dividends. Fortunately for anglers, these aggressive schools don’t move much throughout the winter. If you can cover water quickly with a crankbait until finding the mother lode, there’s a great chance you’ll be able to pound on the same group of bass for several weeks. In fisheries around the country, especially in lakes fed by river systems, bass “winter” in very specific and predictable places. I’ve never considered the word “winter” a verb, but after hearing Palaniuk’s theory, it makes a lot of sense. Know your wind! If the air temperature is higher than the water temperature, wind is a huge help when cranking in cold water. If the air temperature is colder than the water, the water mixes with the colder air and pushes fish to deeper water. Although it can vary by lake and geographic location, start searching for these areas in the southern parts of your local fishery. The further you are from the cool runoff of rivers and creeks, the better off you’ll be. Bass are much less apt to chase prey in cold water, which makes it essential to give them more time to eat your crankbait. Palaniuk accomplishes this by using his rod tip to his advantage. The action of a crankbait is often the determining factor in its ability to catch fish. While a tight wobble is preferred by many anglers in the winter, Palaniuk has a lot of success going against the grain by using crankbaits with a wider action. In order to get a good idea of the bass’ preference, try to throw out all of your preconceived notions and have several different crankbaits rigged and ready to go. If you can cover enough water while alternating your crankbaits, it won’t take long to hone-in on what the big ones want. If you talk to enough bass anglers, you’ll find some that swear by different treble hook styles during different times of the year. Palaniuk doesn’t overthink things, especially in the winter. Did you know? Rocks hold heat better and longer than other bass cover, so Palaniuk suggests making them a staple in your coldwater cranking endeavors. Palaniuk may not get too caught up in changing treble hook styles in accordance to water temperature, but he does stress the importance of using ultra-sharp hooks. When a coldwater bass eats a crankbait, it’s not always because it’s hungry. Reaction strikes often result in cheek-hooked bass, so keeping your gear in top-notch condition can avoid some serious heartbreaks. Coldwater bass are sluggish, moody little creatures. Their metabolism is dreadfully slow so they don’t have to eat as much to stay full and more than likely, they’re not going to swim very far or quickly to eat your crankbait. Catering your retrieve to their mood will give you a much better chance at catching them. It may be tempting to use a lower gear ratio reel for such a slow presentation, but Palaniuk prefers a 6.4:1 Abu Garcia REVO Premier Generation 3 Casting Reel. It may take a bit more discipline to slow yourself down, but it will give you more control over the crankbait while also allowing you to quickly retrieve slack when a bass hits the crankbait from behind. The use of proper rod angles can either make or break a day of coldwater crankbait fishing. In the majority of situations, holding your rod at a 45-degree angle to your target will make a huge difference in your success. Quick tip: Palaniuk is a big proponent of fluorocarbon line in the winter. He most often uses 12-pound Berkley Trilene 100% Fluorocarbon to help keep his bait close to the bottom when cranking. If you’re lucky enough to find lively, green submerged vegetation this winter, Palaniuk suggests holding your rod at a 90-degree angle. This will allow you to “tick” the top of the grass while giving you the ability to rip your crankbait free from any thick patches. Whenever you’re fishing a crankbait, you always want to be in contact with something—as your crankbait glances off of cover, it can trigger a bass’ natural reaction to attack. This can be challenging in cold water, however, because a slow retrieve makes it difficult to maintain bottom contact. To work around this conundrum, Palaniuk will often upsize his crankbait. 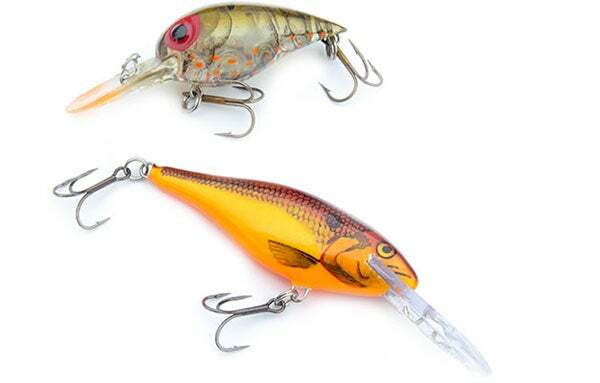 Palaniuk is widely renowned for his front deck movements when fighting big crankbait fish. We’ve all seen him squat, kneel and gyrate all over the boat, but why? According to him, the fight is the ultimate do-or-die time. When a crankbait fish surges or changes directions, Palaniuk makes an effort to move with the fish—the more in-sync he is with the fish, the more pressure he’s able to keep on it. You’ll also see him kneel while keeping his rod tip very low to the water. Sure, it’s exciting to watch on television but it isn’t for theatrics. Catching a big crankbait bass in cold water is definitely exciting, but try not to get carried away. Before you unhook it, look for important clues that will lead to more fish catches. Have realistic expectations: According to Palaniuk, you're not always going to catch huge numbers of bass in super-cold water, so it's important to know what to expect. If you're getting ten bites a day, he says you're ahead of the curve. It’s also good practice to pay close attention to how the bass bites your crankbait. As we discussed earlier, wintertime bass can be found in large groups and the way they bite can be a dead giveaway to more exciting action. Cold weather isn’t always indicative of slow bass fishing action, so don’t let the passing of the pleasant fall weather discourage you from crankbait fishing. If you can make these simple adjustments to your coldwater cranking approach, you’ll be able to continue enjoying hot crankbait action, even in frigid weather. 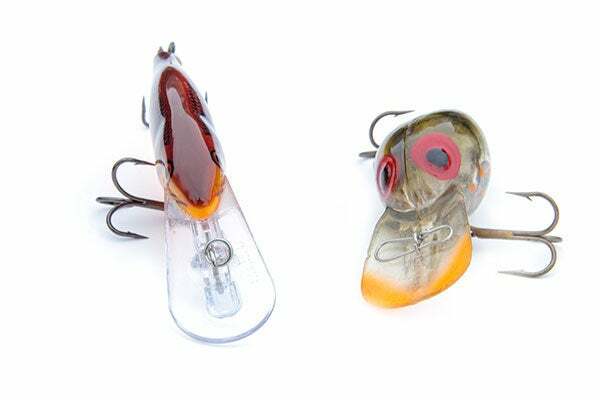 What is your favorite coldwater crankbait? What’s the biggest bass you’ve ever caught on it?